The votes are in, and we are thrilled to announce that Robin Pickens is this year's Fabric8 winner with her Romance Poppies Botanical Sketchbook collection! 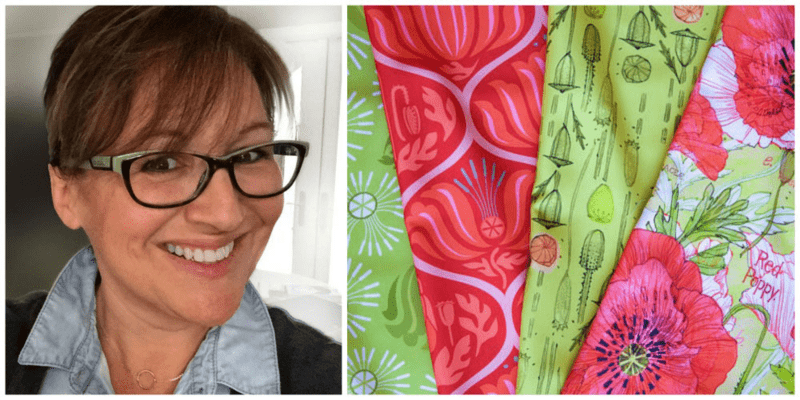 As this year's winner, Robin will receive a Wacom drawing tablet and a $1000 advance for working with Moda Fabrics to produce her collection for quilt and fabric shops worldwide! Robin is thrilled and can't wait to get started with the process: "I am so thrilled to work with Moda. This is one of my dreams!" This year's contest was a huge success, with close to 800 entries submitted for our initial round! We'd like to extend a huge thanks to our partners at Moda Fabrics, and to all of our community members who helped choose our finalists and winners along the way. All of our designers and Fabric8 finalists did an incredible job, and we are smitten with all of their beautiful botanical designs! Be sure to extend your congratulations to all of our finalists, and check out their beautiful collections! Oh, happy day! Today is the day that voting in the final round of this year's Fabric8 Contest opens! The lucky winner of this annual three-round Design Challenge will have the opportunity to sign with Moda Fabrics and see their name on the selvage of their collection in quilting and fabric stores around the world! Our top 8 designers have spent the last month creating coordinating Botanical Sketchbook-themed collections, and they are all incredibly lovely! Now it's time for our community to decide who will win this year's competition to release their collection with Moda Fabrics. We must warn you, choosing only one collection is going to be tough! Need more help deciding? Meet the top 8 and check out their collections before you vote! 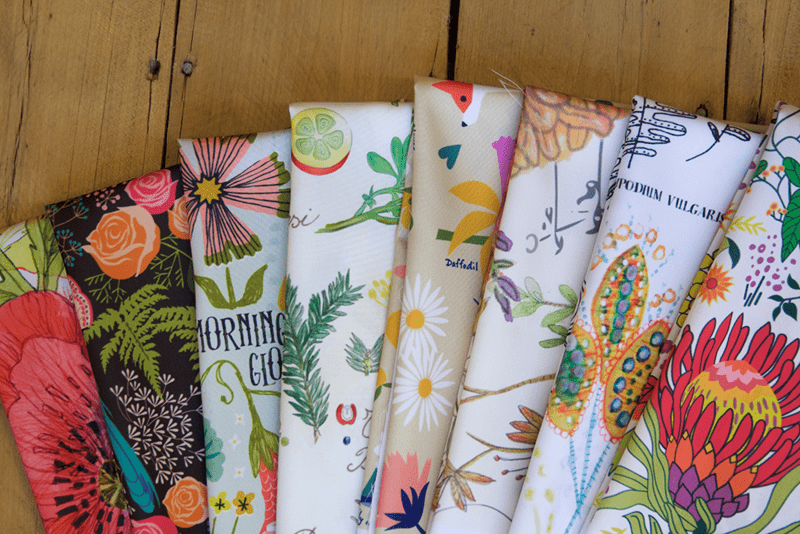 Last week, Spoonflower and industry sponsor, Moda Fabrics, narrowed down the entry field from nearly 800 to 100 semifinalists in our annual Fabric8 Contest. This week, you voted on the top 8 who will advance to the final round! Let's give a huge congratulations to the top 8 designers: Robin Pickins, Catalina Kim, Christine Witte, Gaia Marfurt, Ceri Staziker, Jennifer Geldard, Lucie Duclos, and Fizah Malik! Be sure to check out all the top designs here! They will be asked to expand their design into a 4-piece collection over the next 4 weeks and then the final votes will be cast to decide the next Fabric8 design superstar! Stay tuned through September for interviews to get to know all the finalists! [Read more…] about Announcing the Fabric8 Finalists! Decide who will be the Next Fabric Design Rockstar! 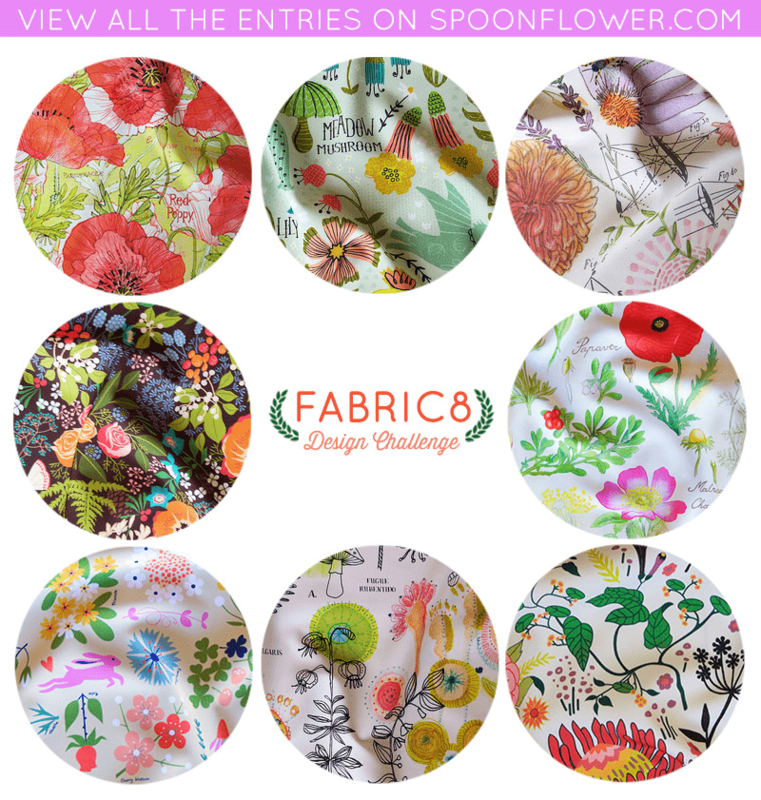 With close to 800 entries, this has been our most popular annual Fabric8 Design Challenge yet! 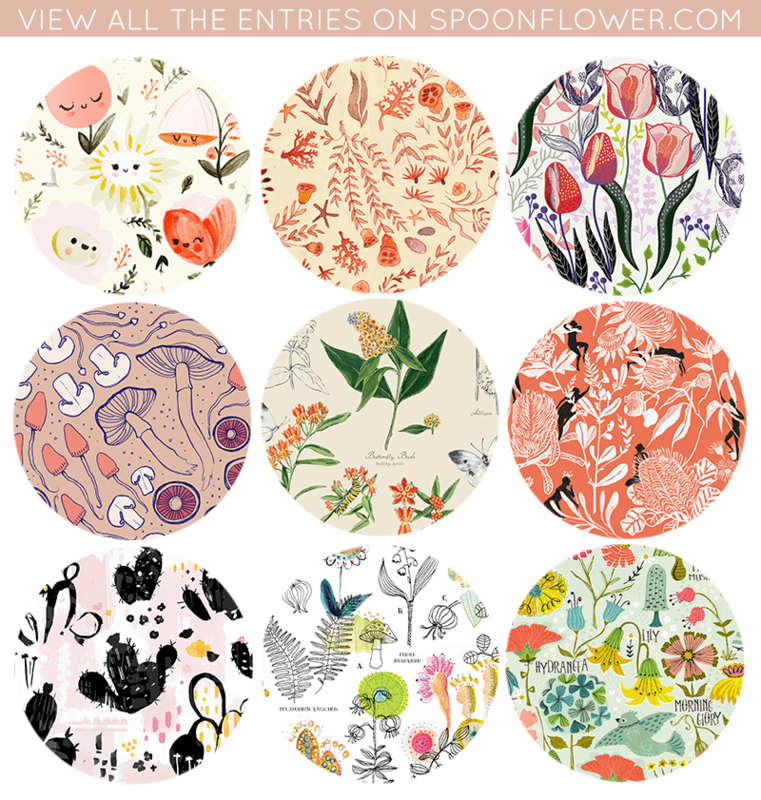 Spoonflower and industry sponsor, Moda Fabrics, have narrowed it down to 100 semifinalists, and now's the time for you to step up and help decide who will advance to the final round. Between now and September 2nd, choose your favorite Botanical Sketchbook designs. The top eight designers selected by voting will be asked to expand their design into a 4-piece collection before the final votes are cast and the next fabric design superstar is announced!